Recently @MajorAlvega created an interesting topic about ev3dev, a Linux based operating system compatible with Mindstorms EV3. One of the possible languages for programming the software for the brick is Python. I never paid much attention to Python as a potential language to do my EV3 programming. However, it has a very big pro, which is the option to use Visual Studio Code as the IDE for programming the brick. In this topic I will share my experience with you. I will try to maintain an index in this first post. I know the official name is ev3dev, but I will also use the term EV3Dev. My first step was to get a new microSD or microSDHC card. All the cards I own are 64GB and the EV3 brick only supports a max of 32GB. I purchased the SanDisk 16GB. Unfortunately, I didn't have time to continue installing Python this evening, so I will probably continue tomorrow. I am one of the maintainers of https://github.com/ev3dev/ev3dev-lang-python , I will try to watch this post in case you have any questions about the python library. Next step is to download the proper version of ev3dev. Make sure to get the stretch version, not jessie. Check out the getting started section on ev3dev to follow the steps. I need to download Etcher from their website and install it, in order to flash the card. Booting....which will take a minute and....done! I really wish the LCD was backlit btw, but that's a different discussion. Too bad it isn't available anymore. Does anyone know if this one will work too? Could get this one too. I have downloaded Putty and now I am trying to connect to the brick. Connected to the robot using login robot and password maker. Since I have decided to go with Python, I will be using the Visual Studio Code extensions. Now, I will follow the VS Code Hello Python demo. The first problem I encountered. Let's see what's wrong. If you encounter an error such as /usr/bin/env: 'python3\r': No such file or directory, you must switch your editor’s “line endings” setting for the file from “CRLF” to just “LF”. This is usually in the status bar at the bottom. For help, see our FAQ page. Solved the issue, thanks to the Python Language Bindings for ev3dev. So, I just ran my first program! Great to watch your progress. 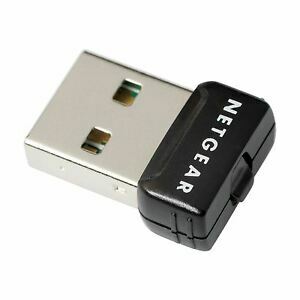 About the wi-fi dongles, I mostly use Enermax and ASUS N10 Nano. There are a few more - most (but not all) that work with the Raspberry Pi native OS (Raspbian) will also work. A few based on a specific Realtek chipset have some long run problems but recent kernel updates have made things better. About the wi-fi dongles, I mostly use Enermax and ASUS N10 Nano﻿. There are a few more - most (but not all) that work with the Raspberry Pi native OS (Raspbian) will also work. A few based on a specific Realtek chipset have some long run problems but recent kernel updates have made things better. Yeah, it worked out nicely yesterday. Accomplished the basics. The Asus N10 Nano looks great....well the price does. Thanks, I will get me some of those. I probably need to get me something like that for my big robot project. Let's say I want to connect like 16 motors (or a big number); how can I connect the EV3 motors to my pi3? I see the Brickpi has several outputs, but I do need a lot of them. One option would be to use multiple Brickpi's, but maybe there is a better solution. Some of the motors can be multiplexed, but not all of them. My next step is to setup communication between multiple bricks. Ideally, I would designate one brick (EV3A) as the master and the other three as slaves. The master is the brain of the robot and the slaves provide sensory information and operate certain functions/motors. Some of the motors can be multiplexed, but not all of them. In hindsight I should have used a smaller turntable that would have made it easier to fit everything. yep you can name the brick whatever you want. ev3dev is just debian linux so anything you can do in debian you can do in ev3dev. If you do not go the route of stacking brickpi3s and decide to do "setup communicatino between multiple bricks" come on over to ev3dev-lang-python and I can assign https://github.com/ev3dev/ev3dev-lang-python/issues/385 to you :) We are always looking for new contributors and it sounds like you have a legit use case for that feature...it would be awesome if you implemented that one. If you have software dev experience python is pretty easy to pick up...it is very readable. I did some digging and found a repo on GitHub where someone has already implemented the EV3 protocol in python...so from their laptop they can control an EV3. This part we should be able to bring into the ev3dev python library without a crazy amount of work. What is missing is the code to implement the server side of the protocol. So if you want to take an EV3 and use it to control an ev3dev that code has not been written (not that I have found at least). It would probably be best to start with the "client support" issue. A large chunk of that code is already written in another repo and you could test it by trying to control a stock EV3. 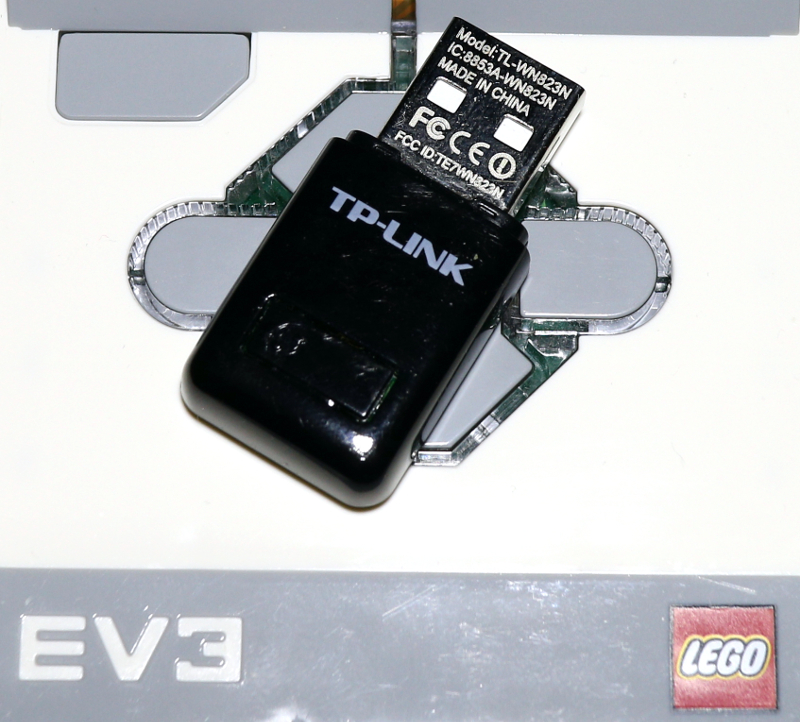 Here is a TP-Link Wifi dongle that works on my EV3 with ev3dev. 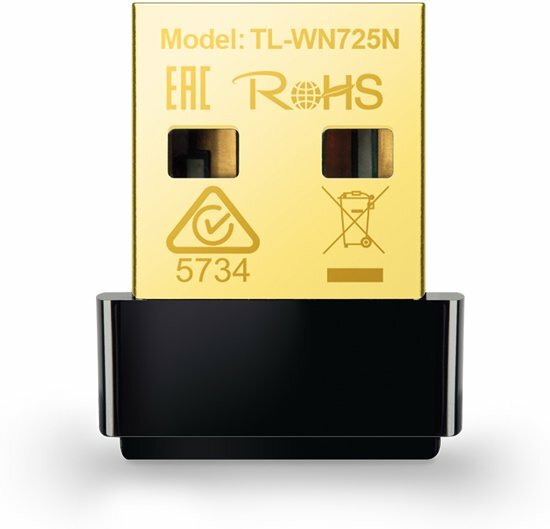 I believe it is based on the Realtek chipset. I didn't notice any network issues when I Putty'ed into my EV3. Instead of Etcher, I used Image Writer Win32DiskImager to put the *.img on my SD card since I am already using it to image SD cards for my Raspberry Pi'es. yep you can name the brick whatever you want. ev3dev is just debian linux so anything you can do in debian ﻿you can do in ev3dev. I have edited the hostname file in etc with sudoedit from ev3dev to EV3A, but it still shows ev3dev in Putty and in VSCode. Any idea why? Admittedly, I am a Windows man, so I really need to find my way in Debian. But I do like the challenge. Can you recommend any (visual) tools to browse the brick, instead of SSH commandline with Putty. I suddenly get pylint errors. Strange thing is that the led is actually causing an error. When I comment out the led statement, the program runs fine. And the funny thing is that the other day it worked with the led statement in the program. I see in the readme todo "explain how to get code completion working". Can you tell me how to do this? Sorry for all the questions, but I need to find my way around Python. And for visual browsing the file system I think WinSCP does that, it's like Filezilla but uses SSH instead of FTP. I'm not sure but I think Filezilla also suports SSH but never used for that. Another question; is it possible to use the requests class in the EV3 bricks? Ahhh yes, of course. That makes sense. Maybe I accidentally added the 4. It's working again, thanks.